K. Denninger is Wrong: No, that is not "kerning"
On May 2, 2011 Karl Denninger of market-ticker.org posted a youtube video claiming that there is "kerning" on the "long form" birth certificate provided by the White House. 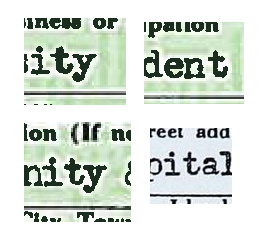 He then asserts that this is evidence that the certificate is a forgery, since typewriters cannot do kerning. He's correct in the second part. However his whole premise that there is kerning on the certificate is false, and easy disproven. For the discussion below you can access original documents through the "Important Links" on the right. There are two versions the the Obama long form: the AP scan, and the White House PDF. 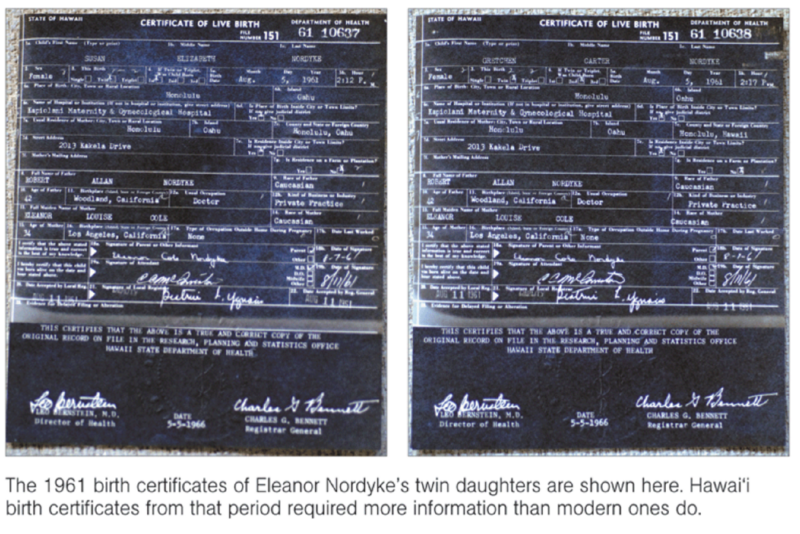 There are also three other forms from the same era: The form for the Nordyke twins, the form for Edith Coats, and the form of someone named "Alan". 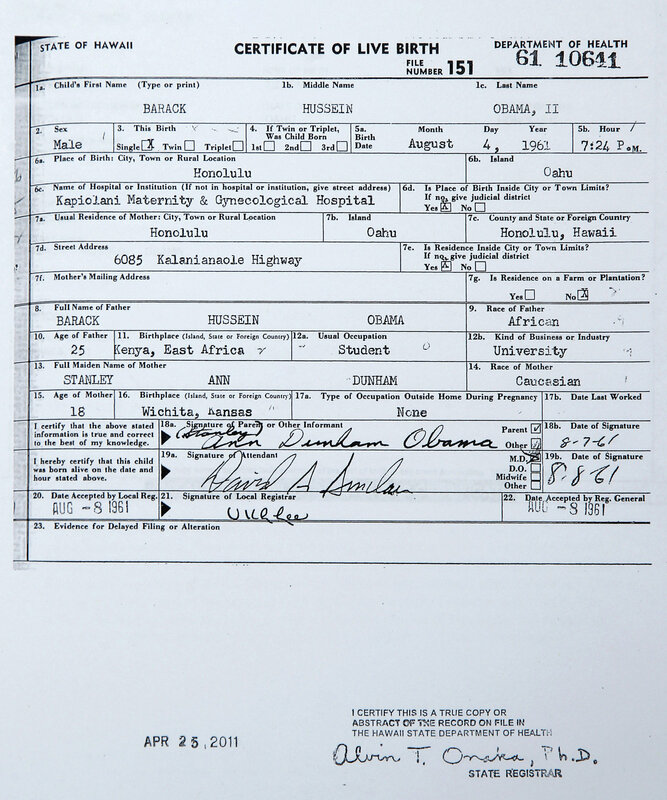 The best way to show how absurd his claim of forgery based on his kerning allegation is is to look at the other "long form" Certificates of Live Birth that have been uncovered and documented by investigators. Note too that that the "ty" in Maternity has the same alleged kerning as the Obama document. If kerning can't happen, as Denninger asserts, then why is what appears to be kerning present in the Nordyke twin long form? And why is there another example in the Alan long form? And an example of overlapping characters in the Edith Coats form? The are almost exactly the same. In fact it's hard to argue they were done with a different typewriter. You'd almost think they were typed with the same typewriter? It's very difficult to look at this evidence and conclude that there is any validity to Denninger's claim that there is evidence of kerning on the Obama long form, and that implies it could not have been done with a typewriter. apart from all this, the font is a monospace font, even if it was made on modern equipment, kerning of a monospace font is senseless and does not happen. yes Does not happen on a 1951 birth certificate have a good day.